The Micromax Canvas Fire 5 was launched in china a couple of days back. The device is a Android 6.0 Marshmallow-based smartphone designed to give a marvellous audio performance to its targeted users. Apart from that, the beautiful device is a low-budget smart phone which makes it a great launch. The Micromax Canvas Fire 5 flaunts a massive 5.5-inch HD (720×1280 pixels) IPS display and is powered by a 1.3GHz quad-core MediaTek processor along with 1GB of RAM and 16GB of expandable inbuilt storage (up to 64GB). The Micromax Canvas Fire 5 is fitted with an 8-megapixel rear camera with LED flash and a 5-megapixel front-facing camera that also has an LED flash for enhanced Selfies in all conditions. The cute, pocket- friendly smartie boots Android 6.0 Marshmallow from the go. The smart phone also features a dual front-facing speakers and has Auro 3D sound that emits loud and clear sound. There is also the Gravity Calling feature on-board, which allows users to answer a phone call from either end, thanks to the dual speakers setup. The dual SIM Micromax Canvas Fire 5 comes with full connectivity options including Bluetooth 4.0, GPS/ A-GPS, GPRS/ EDGE, 3G, and Micro-USB. The handset is electrified by a 2500mAh removable battery. 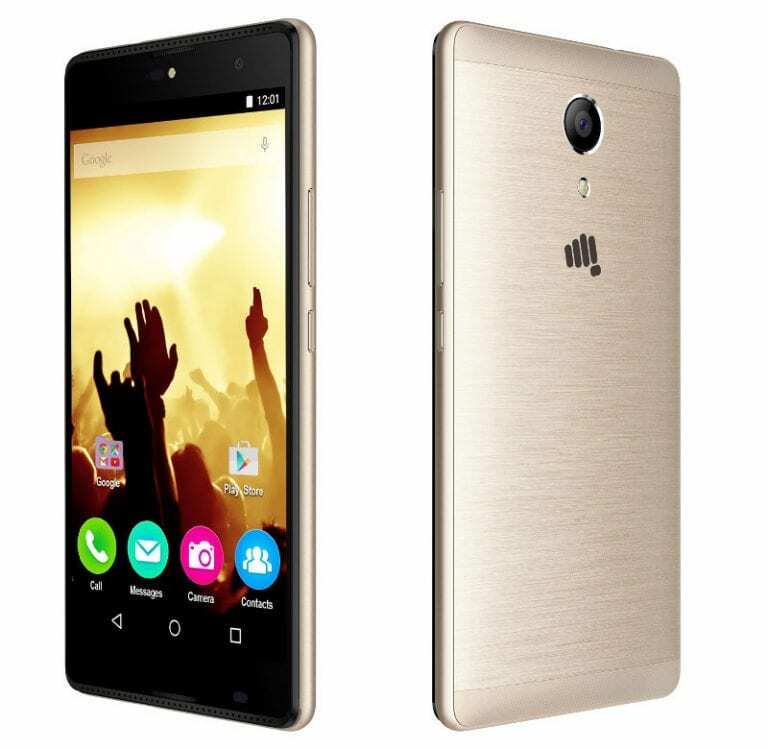 The Micromax Canvas Fire 5 is available in Champagne, Grey and Silver colors with a price tag of Rs. 6199 in India which is about $92 US Dollars. Micromax does not officially sell its devices in Nigeria, Kenya, Ghana or any other African country but the Micromax Canvas Fire 5 price when available in Nigeria will range from N25,000 -N30,000, about 2,500 – 3,000 Cedis in Ghana.